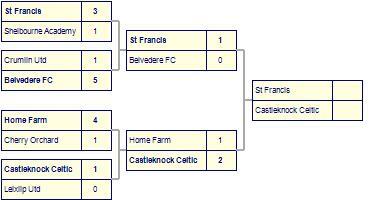 Ballybrack FC suffer defeat to Cabinteely FC. 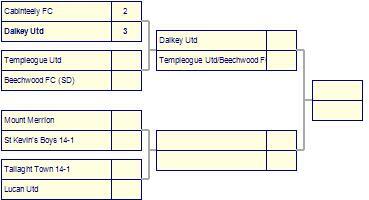 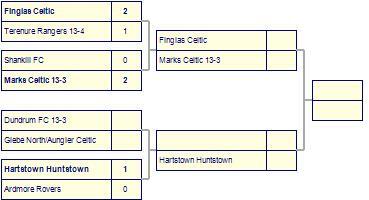 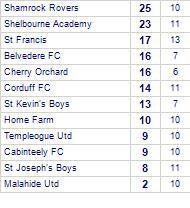 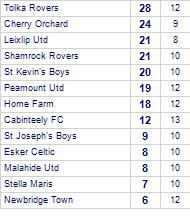 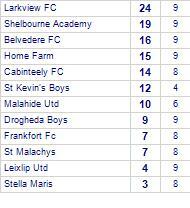 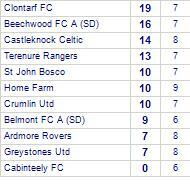 Ballybrack FC has yet to win in this competition, having lost its last 3 games. 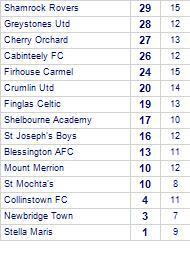 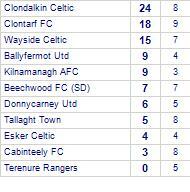 Cabinteely FC has yet to be beaten in this competition, having won 5 out of its last 7 games. 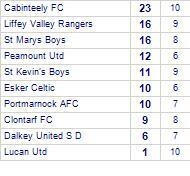 Larkview FC despatched by Cabinteely FC. 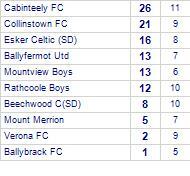 Mount Merrion win against Cabinteely FC. 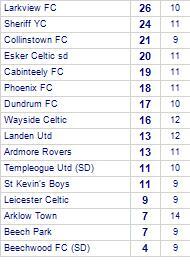 Cabinteely FC beaten by Parkvale FC (SD). 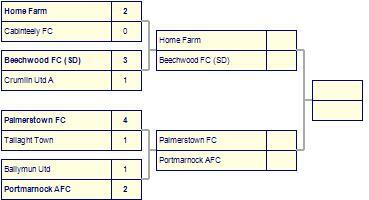 Palmerstown FC win against Cabinteely FC.